Glide into summer with an adventure the whole family will remember! 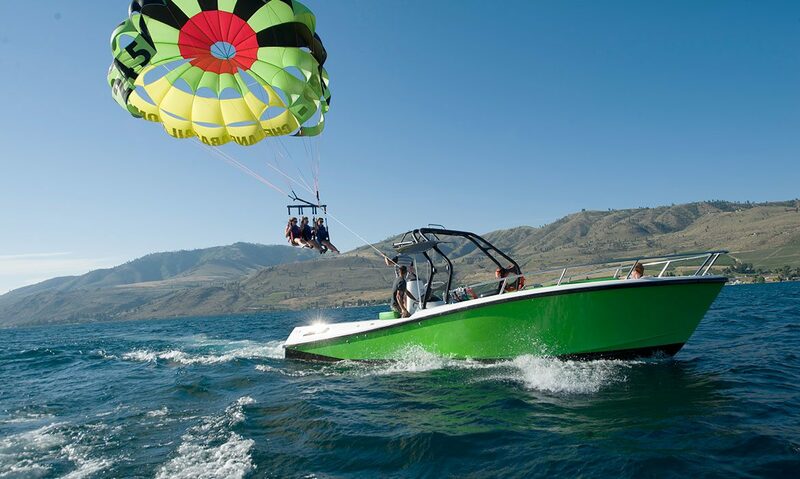 Whether you want to get away from the city or just want to spend some quality time as a family, turn to CHELAN PARASAIL & WATERSPORTS for an exciting day on the water. Discover three reasons you should choose our company for all your water sports rentals. Variety of Water Sports Rentals- Not many companies can offer such a variety when it comes to their rentals. We have a wide array of items you can rent including jet skis, entire boats, inner tubes, paddleboards, and wakeboards. Parasailing- Soaring above the water is an experience you will remember forever. Enjoy a memorable experience with a group of friends or your family because we can fly 1, 2, or 3 people at the same time. Our highly-trained team will take you out on the boat and help you prepare before your flight. Safety is a Priority- Keeping all of our customers and staff safe is our number one priority and we do everything in our power to protect everyone. All of our parasailing flights depend on the weather because we do not want to put anyone at risk, so we recommend booking your flight at the beginning of your vacation in case we need to reschedule due to weather conditions. 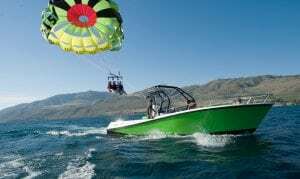 When you are looking for parasailing in Seattle, you can escape to Lake Chelan by calling our team at (509) 682-7245 right now.